BL-200 lifter-tilter enables the swift and effortless emptying of the bowl for spiral mixers. Its use is particularly proven and aprciated for big douzgh quantities like 160 and 200 Kilos dough bowls. The dough flows directly on the chosen working surface in order to be cut, rolled or formed. Additonnaly to the easiness of use, a precise and adequate result can be achieved within minutes. 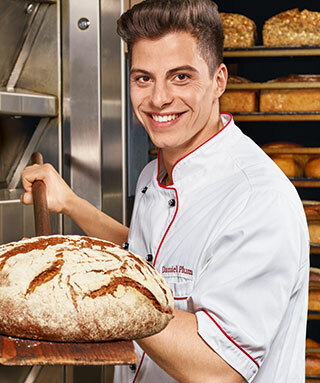 All kinds of Bread Improver for: Strengthen the gluten, increase the bread volume, improve the texture, make the dough dasy to handle, extend shelflife, improve cripe of bread crust ect. The CI-50B cash recycling solution removes the need for staff to handle banknotes at the point of sale. When integrated into your existing POS system the CI-50B securely automates cash handling at payment positions minimising the risk of errors and shrinkage while enhancing staff productivity and customer service. The addition of the coin unit (CI-10C) integrates coin handling into a single solution, for handling both notes and coins.